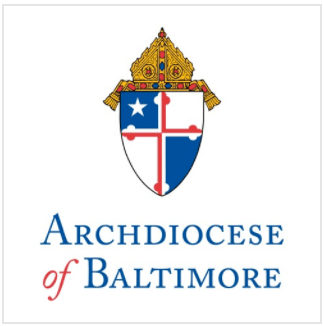 Cardinal Donald Wuerl of Washington, Archbishop Edwin O’Brien of Baltimore, and Bishop Francis Malooly of Wilmington issued the following statement today to Maryland’s more than 1.2 million Catholics. We commend the thousands of Maryland Catholics who have raised their voices in recent weeks in support of our society’s foundational institution – the union of one man and one woman in marriage. In addition to their thousands of emails, phone calls, and visits to legislators, over 500 Catholics came out last week to visit legislators for the Maryland Catholic Conference’s Lobby Night. Your efforts must not abate. The time for continued and urgent action is now. The recent decision of a slim majority of Maryland senators to pass legislation that would drastically alter our state’s longstanding definition of marriage is regrettable. We believe such a change would lead to the erosion of the family, our society’s most valued and important social unit. The measure would dismantle our state’s legal recognition of the true procreative nature of marriage, and contains inadequate conscience protections for religious institutions and individuals. As a result, the measure would jeopardize the religious freedom of all those who cannot in good conscience recognize marriages that conflict with their sincerely held religious beliefs. The debate is not yet over. A solid number of the members of Maryland’s House of Delegates remain opposed to redefining marriage. They need to be assured by you immediately that they have the support of the majority of their constituents in rejecting this legislation. The haste with which this measure is moving through the legislative process is unprecedented. We urge Maryland Catholics throughout the state to act at once to make your voices heard. Visit the website of the Maryland Catholic Conference today at www.mdcathcon.org to contact your legislators, and urge your family, friends, and fellow parishioners to do the same. We must not allow our legislature to redefine marriage. The word marriage describes the commitment of a man and a woman to come together for life with the possibility of generating and educating children. This is not to say that some people over the ages have not come together in a variety of ways, physical, financial and social. But these various unions have always had other names because they are not marriage. Thank you for your efforts, and please continue to pray that marriage will be protected in Maryland.